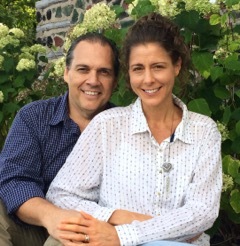 Gerry was born in Montreal and is married to his beautiful wife, Shari. They have two wonderful children. They were both trained in the food industry and Gerry has been in management for 30+ years. As an ordained minister and elder at CityGate, his passion is to see people come into a place of freedom and their God-given destiny. Gerry’s ability to implement God’s mandate for CityGate, adds to the strength of the leadership team. We are also blessed that Gerry provides administration to the finances at CityGate. Gerry has led home groups in various churches and has had experience as both a Director and Chairman of the Board as well as being an Elder. Gerry has had training with Crossways to Life and has personally pursued Biblical studies, including Bethel’s Leadership Series training and an in-depth study on church government and the prophetic. Gerry has also completed two years of Bible School Training from the Southern Ohio School of Ministry led by Mark Pfeifer. Gerry’s wife, Shari, is an exhorter with a keen prophetic eye. She has a passion for intercession and oversees this important ministry at CityGate. Shari, most certainly, is a blessing to our church family.